The goal of this workshop is to empower students to use playwriting as a tool of expression, as a way to give voice to the personal and societal issues they find most important. We’ll do writing exercises that specifically focus on the balance between free, improvisatory writing and story structure. By the end of the session each participant will have a complete, original monologue. 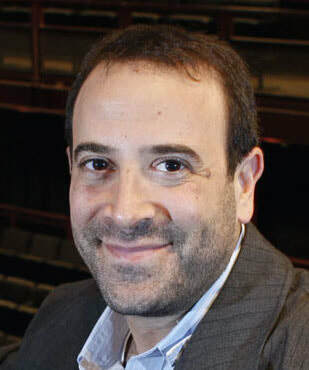 Kenneth Weitzman is an award-winning playwright whose work has been produced across the country at such theatres as the Atlantic Theatre Company, Denver Center, Humana Festival of New American Plays, Indiana Repertory among others. His latest play Halftime with Don premiered at NJ Rep and is slated for productions at B Street Theatre and the Phoenix Theatre as part of the National New Play Network’s Rolling World Premiere. Organizations that have commissioned Ken’s work include the San Francisco Museum of Modern Art, Arena Stage, the Alliance Theatre, Actors Theatre of Louisville, Theatre Emory, and the devising company, Out of Hand Theater. National Awards include The L. Arnold Weissberger Award for Playwriting, the Fratti/Newman Political Play Contest, and South Coast Repertory’s Elizabeth George Commission for an Outstanding Emerging Playwright.